Do you enjoy doing Bible Studies? You do. Me too. Now I will admit my determination to finish wanes somewhat if it’s on online Bible study. I like the feel of an actually book in my hands and a face to face group of women to discuss, encourage and learn with. They help me stay focused and determined to delve deep into God’s Word throughout the study. I know there are many who enjoy the convenience of an online study. As mentioned in a previous post. 7 Strategies to Leading a Women’s Bible Study Group , most of the studies I have done were published by well known female teachers. Today I want to introduce you to a new Bible Study teacher. Heather M Dixon. I met Heather at a writers conference in North Carolina (She Speaks 2016) and was immediately drawn to her. She oozes warmth, love and genuine interest in people; believe me, you are going to love her too. Here’s the thing; you would think to be that warm and loving ones life is probably free of problems. Not so. Heather lives with an incurable and terminal genetic disorder, but she doesn’t allow it to stop her living every moment determined. I love how Heather reminds us that Jesus was laser-focused. He was determined in His mission. Determined that we would know His love. Gosh, what if He had decided not to go to the cross for us. What a scary thought! 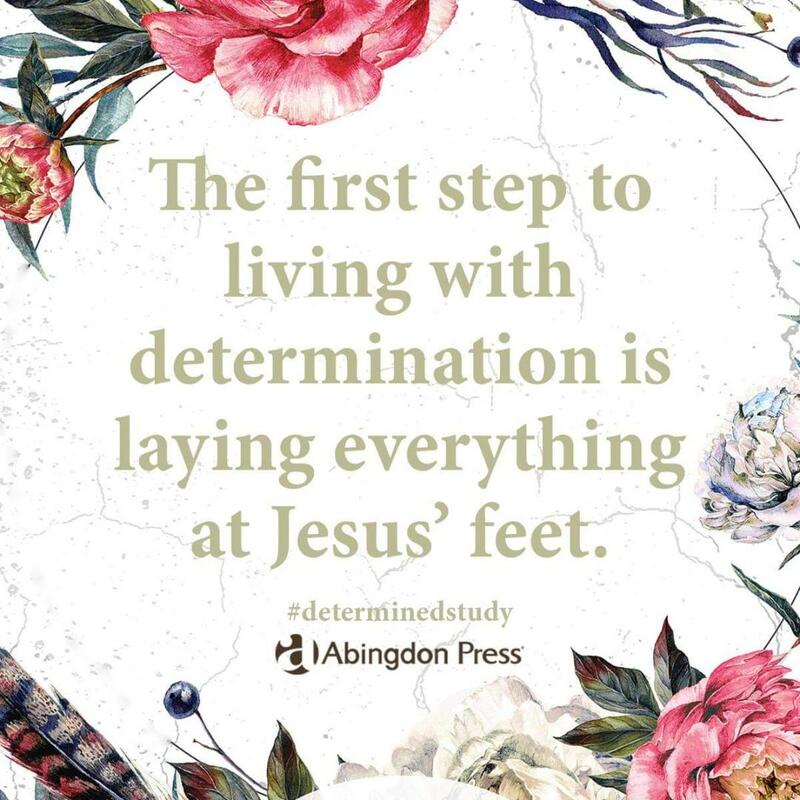 The first step to living with determination is laying everything at Jesus’ feet. 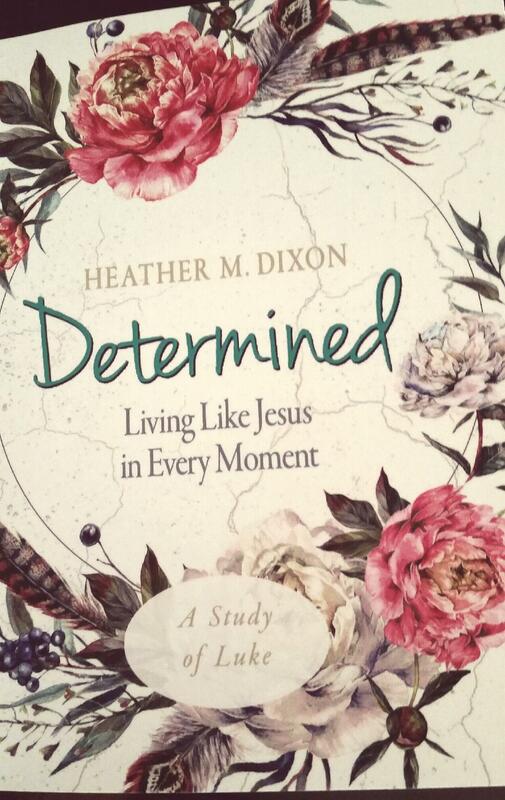 In Determined: Living Like Jesus in Every Moment. Heather not only shows us how Jesus was laser-focused but how we too can live with a Christ like determination in our everyday lives. 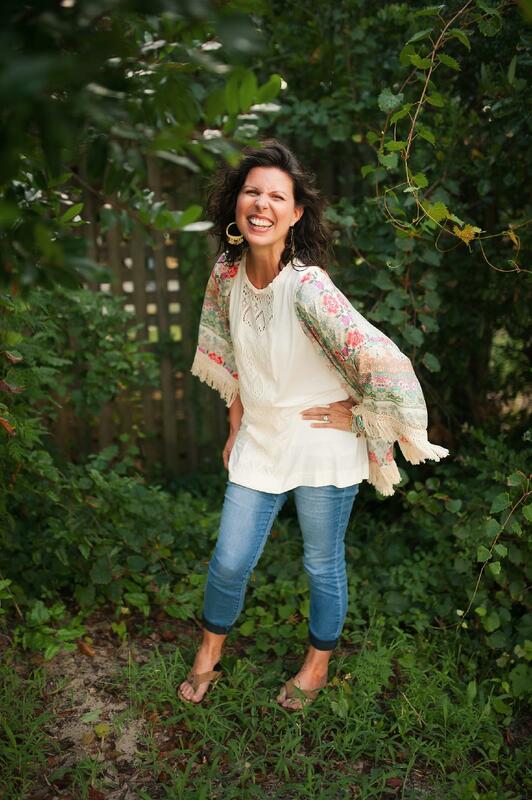 She reminds us to first lay everything down at the feet of Jesus. That’s powerful! This is one study you do not want to miss ladies. The Determined study book, leaders guide and DVD’s can be purchased through Amazon, Cokesbury, Barnes and Noble and Christianbooks.com. Some sites offer a leaders bundle. In addition to the study Heather invites you to join her on Facebook where she will be also be teaching. This will take place late April, date and time not yet announced. Be sure to be on the lookout.